Entertaining Must-Haves For The Fabulous Host. If you love hosting and entertaining guests, we have curated the most fabulous entertaining must-haves that are perfect for the extraordinary host! 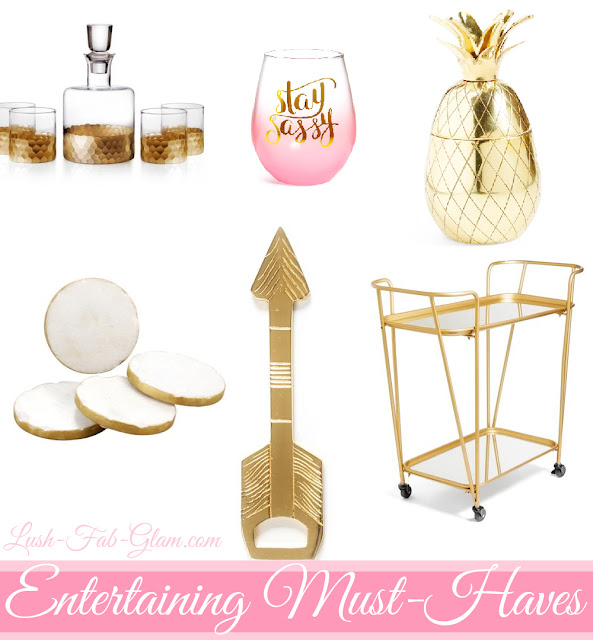 Read on to see the luxurious items that we are swooning over, most of which are under $50 and will help turn your next party into an event to remember when you serve refreshing drinks and tasty treats in these fabulous items. Fab Tip: Click on the items below to shop. Get more fab tips for entertaining, hosting guests and throwing an unforgettable summer bash in our "Fabulous Host" articles. Labels: Hosting, Lifestyle and Leisure, Party Planning, Party Tips, Sale, The Fabulous Host, What's On Sale?